Not long ago, I worked with Mantis Knife Company to produce a knife video for the introduction of their super cool Jryo-1 knife- a space-age design that just makes a lot of sense. 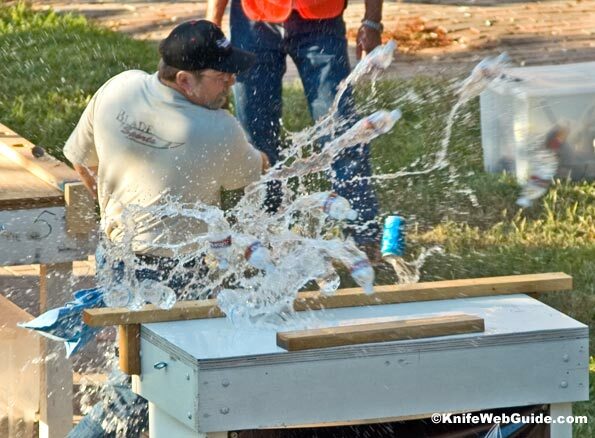 I met Jared West, the founder of Mantis Knife Company, when I bought this knife at the 2009 Blade Show. Subscribers of CNJ know I am into anything related to promoting knife ownership and the hobby of knife collecting through technology, including the web. One of the ways I do this is through a marketing and media company founded to assist knife companies and makers called iKnifePromotions. Got a call from Jared today and he wants me to produce a video for BladesSports. 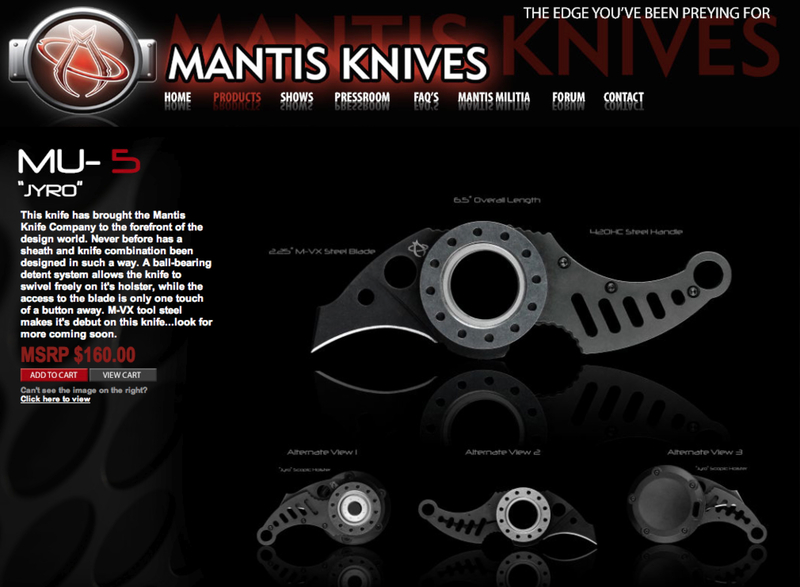 If you aren’t familiar, BladeSports provides workshops and cutting competitions and Mantis Knife Co. is a primary sponsor. Ted Ott cutting through all the bottles and 12oz. can.